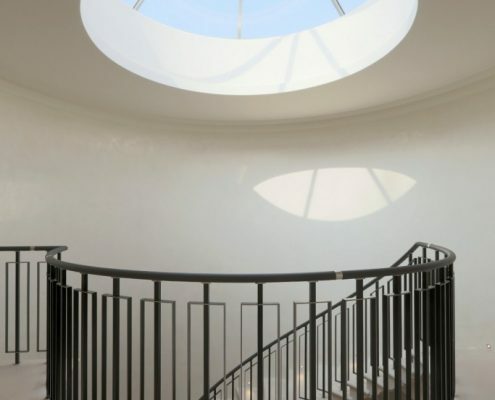 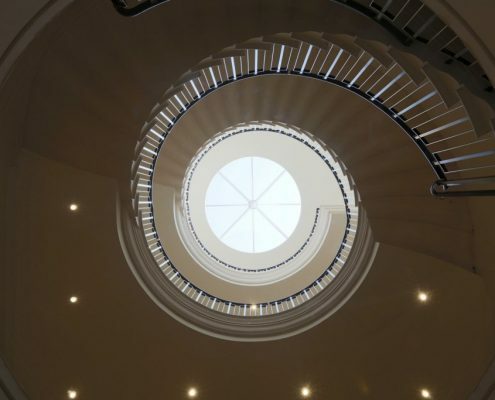 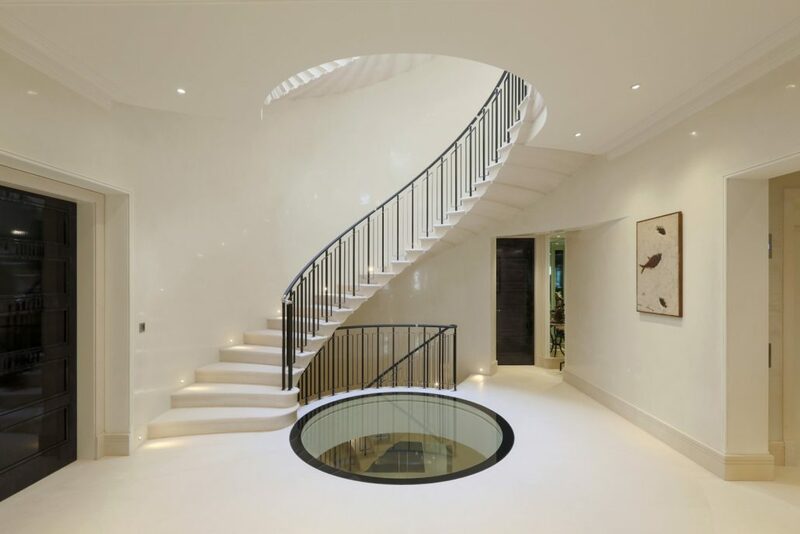 This large helical staircase was the centerpiece of this multimillion pound home in North London. 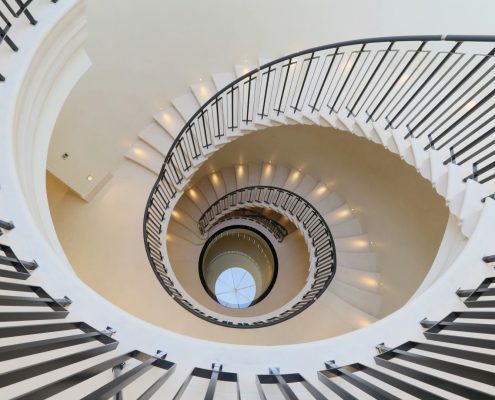 The steel spindles were clad not just with a core rail, but also with stainless steel sleeves. 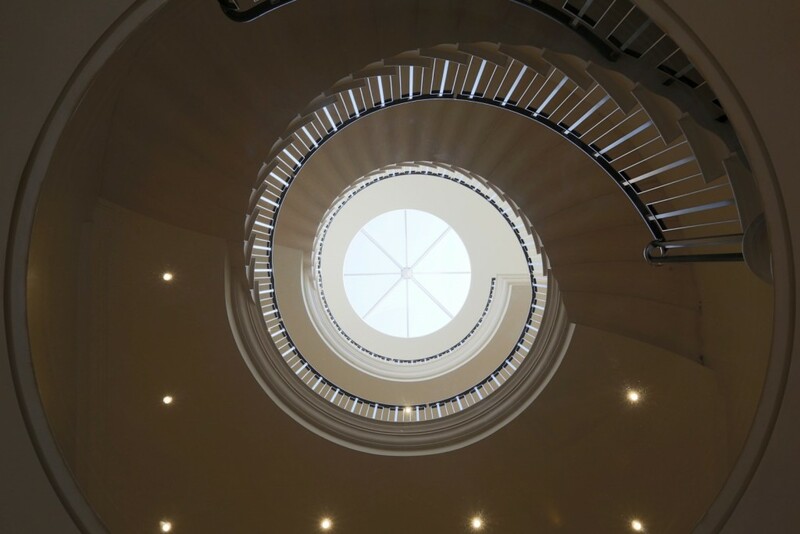 Our survey of the stairs gave us the chance to make our handrail millimeter perfect to sit between the sleeves, before it was clad in leather. 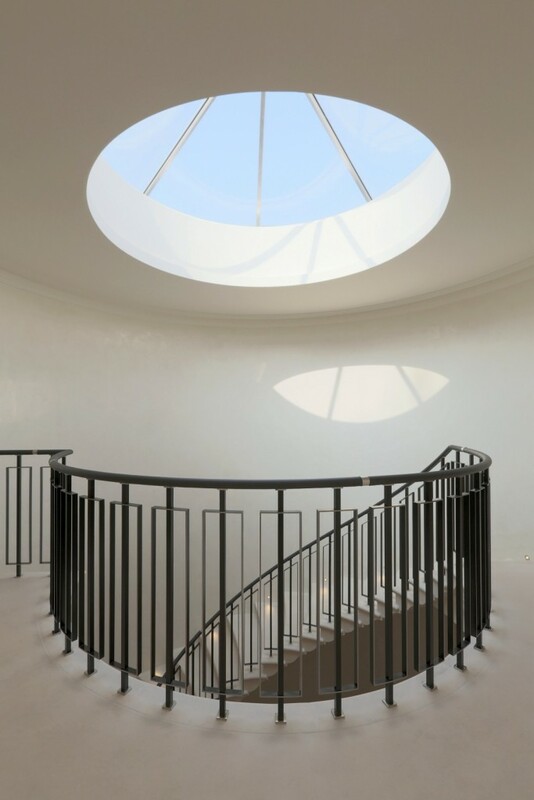 The leather was wrapped around our wooden handrail, and then tucked into the rebate before being screwed and glued to the steel balustrade. 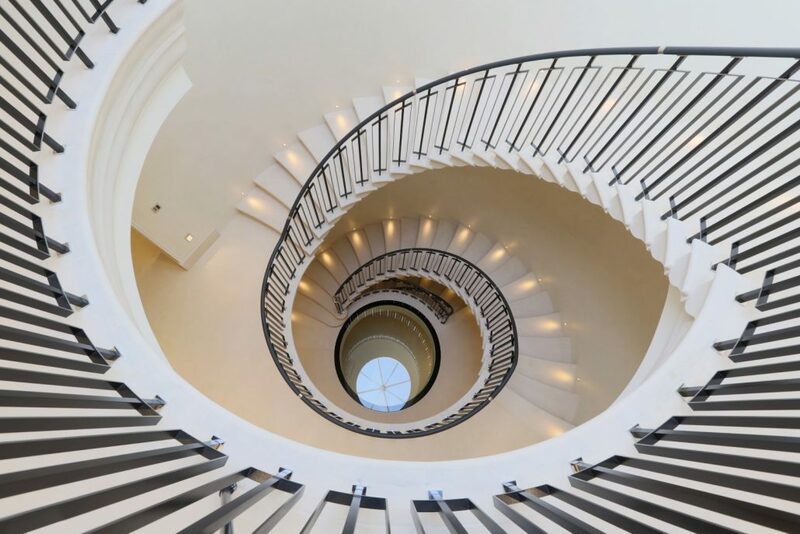 The result was a perfectly flush, warm handrail with a stunning backdrop. 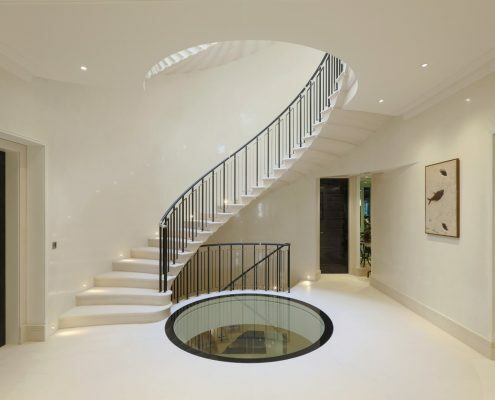 The stone staircase ran continuously from basement to second floor with circular landings.